My organization is going through a very large merger with a lot of unknowns in there. Do you have advice on preventing employee cynicism? It doesn’t make it feel any easier, but your situation is quite common these days. 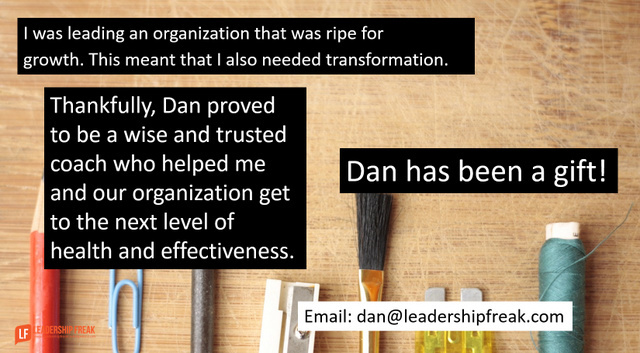 I coach leaders who are navigating the turbulence of mergers all the time. First, lets think about the big picture. 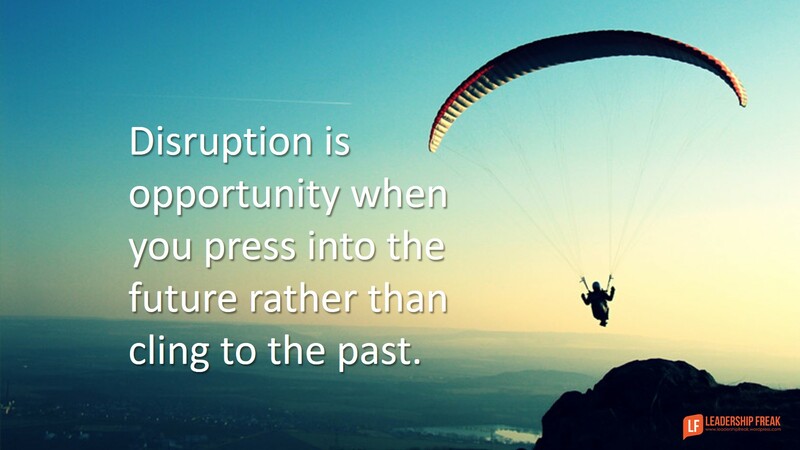 Disruption is opportunity when you press into the future rather than cling to the past. The advantage of disruption is you find the courage to explore new opportunities. People look for new ways to add value, new jobs outside the company, and clarify their role inside the company. It’s good to do all three. Disruption frees us to explore opportunities and develop ourselves. Lets turn our attention to preventing cynicism. Organizations that routinely use layoffs to cut costs should expect cynicism from the workforce. Telling people to not be skeptical and pessimistic won’t help. Choose to promote something positive rather than prevent something negative. Cynicism justifies self sabotage. Good employees become foot draggers, for example. Understanding. It’s normal to feel stress during mergers. Transparency. Some secrecy is necessary during mergers. Over-communicate everything that can be ethically shared. Candor. Tell the truth. If you don’t know. You don’t know. Action. Find something you can do. Mergers make us feel helpless. Deal with helplessness by finding something to do. Helplessness comes out as anger, distrust, and/or giving up. People complain and gossip when they feel helpless. Listen to concerns. Turn conversations to opportunities. You might say, “I hear what you’re saying. What might we do about it?” The first response to this question is often, “Nothing.” That makes everyone feel even more helpless. What might we do to support each other? What does bringing your best self to this situation look like? Thank you for your email. You have my best wishes for success during and after the merger. What suggestions do you have for Concerned About Cynicism? 3. The most important advice I can give is to try to be one of the first on your side of the deal to meet and get to know the other side. In my book I call this crossing the bridge to greet the others regardless of who is the real buyer or seller. It is the most critical if your side is the seller! 3. It is less about what you share than the effort you make to cross the bridge. By the way sometimes you have to walk to the middle and beyond more than once to have the other person join you. Brilliant! I particularly enjoy the importance of sharing what you learn. Secrets create cynicism. Once again, a very good post, Dan. Thank you. The observation that “Disruption is opportunity when you press into the future rather than cling to the past” reminds us that few people actually view a crisis/challenge/disruption as an opportunity. Typically, most view it as a situation that begs the question, “Who is doing this to me?” which then demands some sort of a reaction. I always felt this was a missing (and often well hidden) attribute that I should be on the lookout for when hiring, working with, retaining, and/or promoting people. This attribute is, however, something valuable that can be caught and can be taught, but is more often missed than noticed (http://wp.me/p2k440-ju). Thank you for your influential posts. Keep them coming. Thanks Jim. Rather than “who is doing this to me?” we might ask. What might I learn, Where might this take me? How might I add value or solve something? Who does this situation call me to become? Learn to roll with the purchase. We have no control on mergers, other than to pray we have a place to fit in. We often times don’t control our destiny when you have chosen work for others!